At #ISTE2016, there was quite a buzz around failing forward. How each failure is an opportunity to stop, reflect, and move forward. We all seem to embrace the idea, but how do we really act on it? Enter Jessica Lahey’s The Gift of Failure. Her writing, almost like a confessional, gives you insight into what she did wrong in raising her own children and in working with her own students, and how she made deliberate, big-picture changes to address them. Packed with research, her work engages you deeper into changing your mindset about developing positive and realistic self-image. I couldn’t help but have mini-convos in my mind with “Jess” while reading her writing. Her concrete actionable steps became my own in raising my own children and approaching my own students. Check out her talk about her book, and you will immediately warm up to her! In the past school year, I experimented with the Character Lab, a nonprofit that promotes character development using science and the premise that “character strengths such as  grit, growth mindset, gratitude, self-control, and curiosity enable kids to lead lives that benefit themselves and other people.” Using the free tools on the website, I worked with my students in realizing their areas of strength and development and created actionable steps to help them achieve their goals. I felt this was a much more organic way of supporting social-emotional development in my learners. Students owned their goals and they were empowered to make the changes. Fantastic, isn’t it? 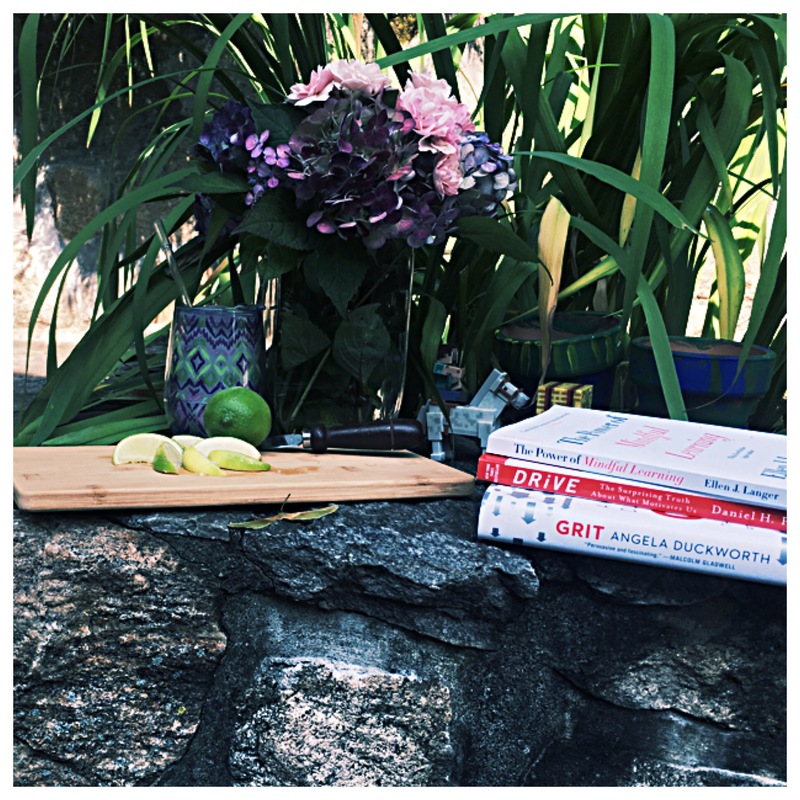 In her New York Times Bestseller Grit, Angela Duckworth, a superpower educator, hero-researcher, defines for us the meaning of grit, “a special blend of passion and persistence” (Here we go again – passion pops up in this book, too!) She reminds us that it’s not talent, Irish luck or rabbit’s foot that makes the difference in the way we move forward. Rather, it’s the way we learn from our failures, our persistence and our singular mindset that helps us pursue our passion. Her book is just as engaging as her Ted Talk about the power of passion and perseverance in our own lives. You might remember Dr. Ellen J. Langer from her masterpiece Mindfulness, an influential book that helped us realize the creativity-unleashing power of emphasizing process over product. 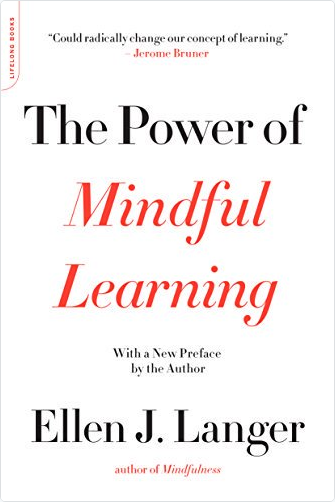 In The Power of Mindful Learning, Dr. Langer, social psychologist and the first female professor to gain tenure in the Psychology Department at Harvard University, reminds us that learning requires “openness to novelty; alertness to distinction; sensitivity to different contexts; implicit, if not explicit, awareness of multiple perspectives; and orientation in the present.” Yes, perspectives. An integral element to the 21st century learner. When you read it from a perspective of an educator, you soon uncover the myths of conventional learning, and in Dr. Langer’s crafty hands, you will work through un-doing them in your own learning environment. I loved indulging in Dr. Langer’s words, I even purchased her new book, Counter Clockwise: Mindful Health and the Power of Possibility to explore the implications of mindfulness on my and my learners’ health. “How imperative is it that educators connect themselves and their classrooms to the world? What are simple steps that educators in the classroom can take to become more globally minded and start to change their practice? Julie guides you in answering these questions and others while providing some incredible case studies and example from across the globe from the seasoned educators who have been living globally in their classrooms. I almost shared a cab ride with Julie to the airport in Denver, and boy, very few are close to being this passionate about global education. I want to be able to soak in every bit to flatten my classroom. Please join us in celebrating these precious summer days, and remember to give us your feedback! In our village, we raise 21st century learners. The thirst for empowering the learner is real. Quenching the desire is in our hands.